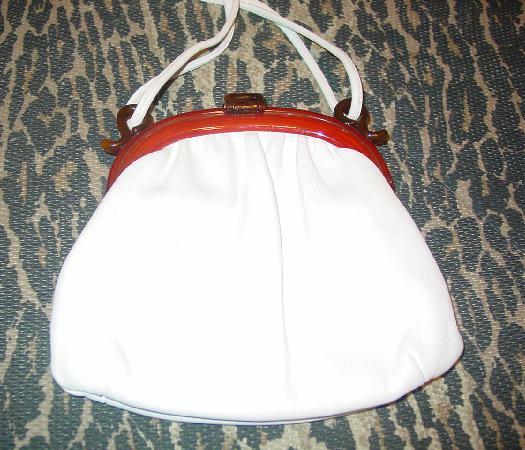 This vintage white faux leather purse is by Ande. 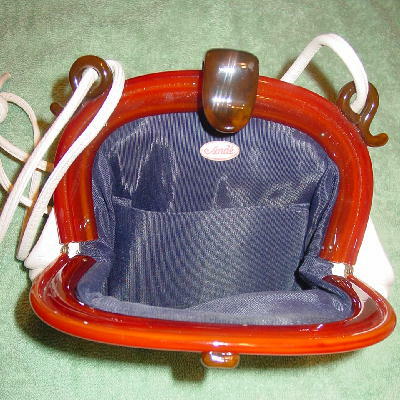 It has a strawberry-apricot-caramel colored lucite rim and a top clasp closure and two strap holders in a dark tortoise color lucite. 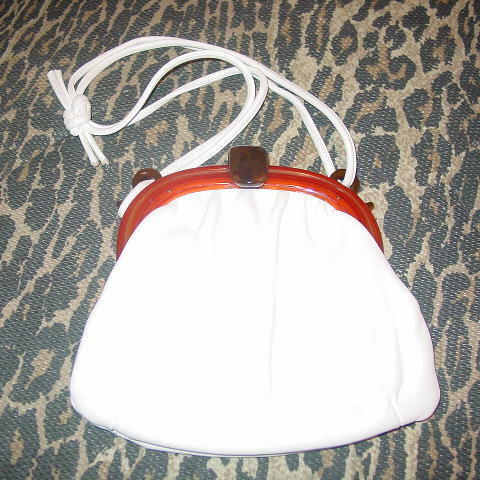 There is a double 30" white shoulder strap which is tied in the center. It has a dark blue grosgrain fabric lining and interior open pocket. There is a light pinkish cast in several areas on the back and front.